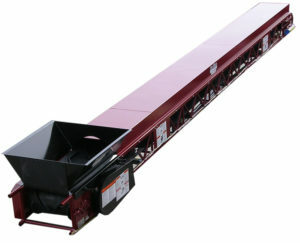 The SD-Series conveyor belt is the real power-player of material handling conveyors. The design of the SD-Series makes it a master mover of all kinds of material for all types of applications. 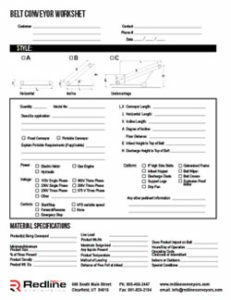 The bed is constructed in 16, 20, or 24 inch wide span in a 15-degree trough configuration. Support for the belt is provided by a center roller system. 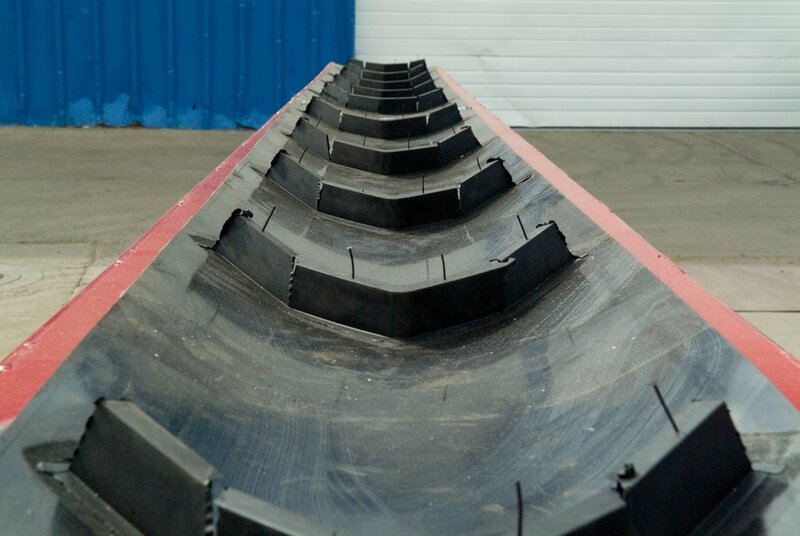 The trough provides better control over loose materials, keeping them centered on the belt. The belting is a tough, rubber belt with 1-1/2 inch tall chevron style cleats. The cleats are spaced on 12-inch centers to provide superior grip on the material. 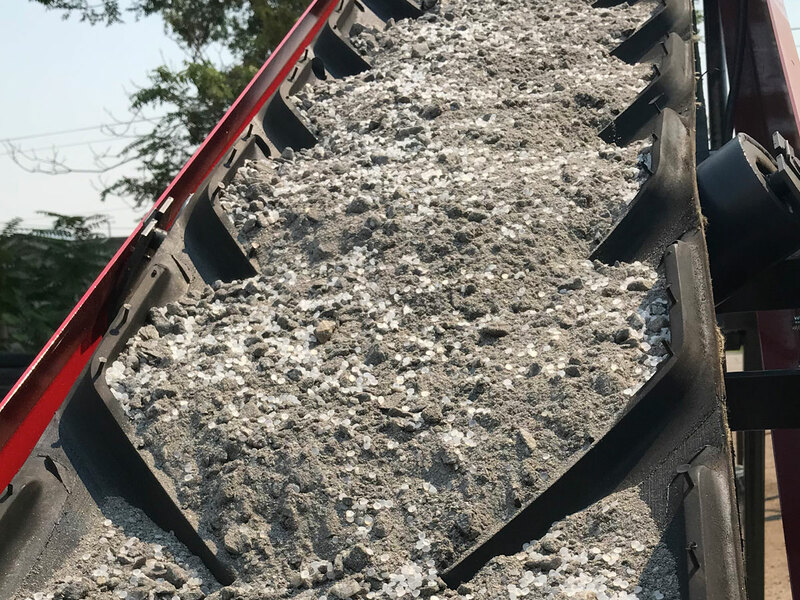 With the combined trough configuration and chevron style belt design, you will find that you will be able to move material up steeper inclines. The frame is constructed of strong steel tubing. 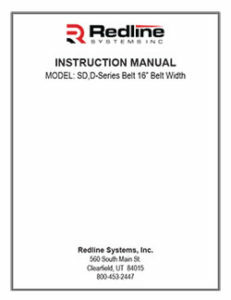 The pre-lubricated, sealed, self-aligning bearings help keep your belt tracking properly. The drive pulley is a 7-inch diameter, open cage pulley that is self-cleaning. Likewise, the 6-inch diameter tail pulley (driven pulley) is also open caged for self-cleaning convenience. 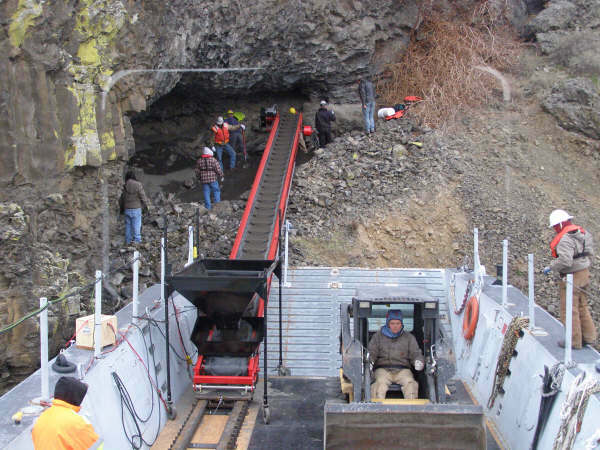 It is obvious that everything about this conveyor is designed to keep your running time up and your downtime to a minimum. Aggressive Steep Climb Belt for Incline conveyance. Bed– 16″ 20″, or 24″ wide troughed bed. 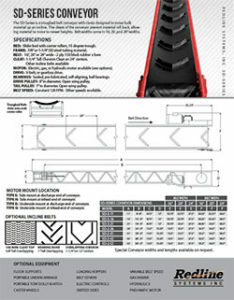 Frame: Strong, Rugged Truss style welded frame. Drive: Electric, gas, or hydraulic motor available. Bearings– Sealed, pre-lubricated, self-aligning, ball bearings. Drive pulley– 7″ in diameter. Open caged for self-cleaning. Tail Pulley– 6″ in diameter. Open caged for self-cleaning.